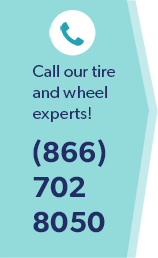 What do you think about when buying car tires in Fairfax Station, VA? Dependability, reliability, performance, weather and treads all come to mind. So does one word – Goodyear. From humble beginnings in 1898 and the first patent on the tubeless automobile tire in 1903, and on through today, the Goodyear Tire & Rubber Company is synonymous with tire dependability and performance. That’s why when people search for car tires near Fairfax Station, VA, they buy Goodyear more than any other tire brand. In 1916 Goodyear Tire coined the ad phrase “More people ride on Goodyear tires than on any other kind.” That holds true today, nearly 100 years later. When you think car tires near Fairfax Station, VA, and want the best tire value you can find, think Wiygul Automotive Clinic. Since 1996 the expert ASE-certified mechanics and factory-trained technicians and Goodyear tire specialists have helped thousands of our friends and neighbors in Northern Virginia find affordable, durable, quality car tires near Fairfax Station, VA, at Wiygul Automotive Clinic. Offering a wide selection of premium car tires for Fairfax Station, VA, drivers, the auto professionals at Wiygul Automotive Clinic are focused on finding the very best car tires for your vehicle and your budget. When you need quality and performance in car tires, drive over to see the Goodyear professionals at Wiygul Automotive Clinic. We can make your tire buying experience an informative pleasure instead of a nerve-racking frustration. Trust the auto professionals at Wiygul Automotive Clinic for Goodyear car tires near Fairfax Station, VA, and all the tire-related auto services you may need. At Wiygul Automotive Clinic keeping you and your vehicle safe on the road is our number one priority.